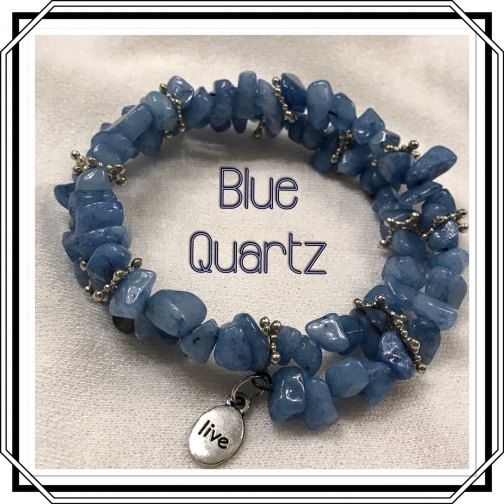 This blue quartz is made with quartz heat treated chips that are turned to blue and create this bright look. 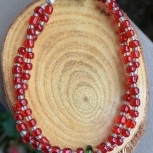 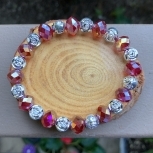 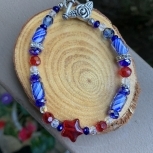 It is on a wire coiled bracelet that is made to fit all sizes. 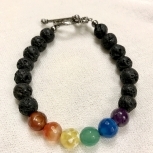 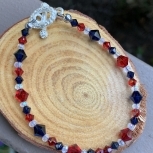 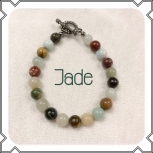 The bracelet is lightweight and has a small dangle on the end.